The world is filled with advisors, professional and self-appointed alike, offering wisdom about buying a home. Much of it is true and accurate, but there are also many advisors who either have outdated or incorrect information. Part of the confusion comes from the fact buying a home greatly varies depending on where you are as well as when you are buying. 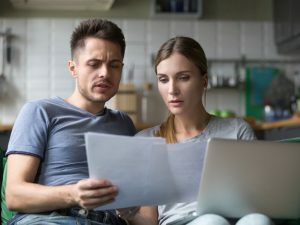 Someone who recently bought a house might believe he or she is giving helpful advice, but his or her requirements may be too different from yours to help. It can be difficult and confusing for a prospective homebuyer to navigate through all this advice to sort the genuine wisdom from the myths. Always consider the source of the information. If the advice giver has no credentials of his or her own, either ask for the information’s source or seek corroboration on your own. If you cannot corroborate a piece of wisdom presented to you, bring it to your realtor or call your state or national real estate association to find out more about what you were told. The sections below list some of the most common myths about purchasing a house. Whether buying a home is a better option for you than renting depends on a variety of factors. These include how long you intend to remain in the home and the home’s price as compared with your rental rate. After buying a home, breaking even can take five to seven years, or longer in some markets. Make sure you intend to live in your home for at least as long as it takes you to break even on your purchase and home ownership costs. If you are a first-time homebuyer, do not rush in to homeownership based on this myth. Make sure to evaluate the benefits and detriments of homeownership before letting your current lease expire. Every city, town and region are either progressing or regressing, growing or retracting. Depending on your timing, buying a home may be your worst investment decision. When considering the investment value of your home, you want to buy your home when your area is in a buyer’s market and interest rates are low. Likewise, you want to sell your home when your area is in a seller’s market. When comparing a home purchase against other investments, consider home prices in the U.S. have increased by less than 1 percent more than inflation. This applies even during periods of lowering interest rates and consequently higher home prices. Most taxpayers are able to write off their home mortgage interest as a tax deduction, but not all. Before buying a home for the tax deduction, make sure your state offers this option. Even if your state offers this deduction, you must confirm that you are actually eligible for it. Once you know if you are eligible, calculate how much of a value you are really getting from your deduction compared to the overall purchase price and annual payment you must make. Interest rates are only one factor in evaluating mortgages. It is equally important to consider fees, monthly payment amounts and penalties. The reliability and stability of the financial institution you borrow from can influence whether your offer is accepted. The 36 Percent Rule states you can afford a home if your mortgage payments plus your other debts amount to less than 36 percent of your total income. Lenders often use this as a rule of thumb, but this process does not consider the impact an individual’s spending habits have. The only one who knows how much you can truly afford to spend on a home mortgage each month is you. As long as you are honest with yourself and avoid stretching yourself too thin, you do not necessarily need to follow this rule of thumb. If you do not plan to live in your home for 30 years, a 30-year mortgage is not the best home loan for you. If you plan to move after five to seven years, consider a mortgage of this length instead. This way, when you move out and sell your home, most or all of your mortgage is paid off and you have maximum equity for profits from the sale. In addition, fixed interest rates are partially based on how long these rates remain fixed. A fixed rate for 30 years is higher than one for five years. By taking out a 30-year fixed rate mortgage, you may end up paying more in interest than necessary. You can get some of the best loan rates and terms and have a much better chance of being approved by more lenders for a home loan if you can put at least 20 percent down. While this number is considered standard, it is not required. If you put down less than 20 percent loans, many lenders still give you a loan if you purchase Private Mortgage Insurance (PMI). Your PMI payments are folded into your loan for a period of time until you have enough home equity to satisfy the lender’s risk tolerance. There are also special loans you can get with lower down payments, including VA and FHA loans. There are also seller-financed properties and private home sales, or properties For Sale By Owner (FSBO), to consider. Upfront costs for a home extend far beyond just the down payment, including inspections, appraisals, lawyer’s fees and more. Closing costs alone can add two to five percent to the price of a home. If any improvements or repairs are needed for you to move in, these can cut into your bottom line as well. You can negotiate with the seller to share some of those expenses but prepare to be responsible for at least some of it yourself. Your lender considers your ability to meet these responsibilities when considering whether to grant you a home loan. Once you move into the home, your ongoing expenses include more than just principal, interest, taxes and insurance (PITI) on your mortgage. They also include utilities, maintenance costs and, if applicable, homeowner’s association dues. When determining whether you can afford to buy a home, make sure you account for all the related expenses, both one-time and ongoing.